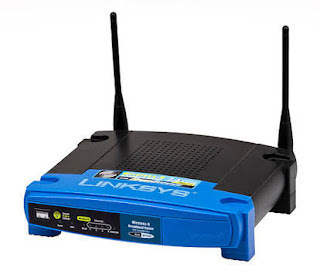 Every WiFi router has a default name for the network and a password.we can find this name and password from the body of the router where it is printed. So, we have default name and password for our router. But, we can change this name and password easily. By changing it, we can make it secure. You can choose a strong password that will be difficult to be hacked by someone. So, we will discuss how to change a WiFi name and password in this post. For changing name and password, at first you should know the IP address of your router. Let's start with it. press "windows+R" and type "cmd" then press "Enter". Now command prompt window will open. Just type "ipconfig" and press "Enter". Search for the "Default Gateway" . just see on the right side of "Default gateway". This is the IP address of your router. Click on the "Apple Menu". click on "Network" icon. You have to select your WiFi or Ethernet connection. Now click on "Advanced" button. Now a new window will open. Click on the tab "TCP/IP". IP address will be displayed on the right side of "Router". In this way we can find out the ip address of the router. Now to change the network's name and password we have to open the web interface. Go to the address bar of the browser and type the ip address that you have found earlier. Press "Enter". User name and password of the router will be asked. Just type user name, password and press "enter". (default user name and password or your previous set). In many routers, user name and password both will be "admin" or user name blank and password as "admin" or user name "admin" and password blank. Now its the time to change network name and password of your wifi. After login. Go to the "WiFi settings" by clicking on "WiFi" or "wireless" or " wireless network" depending on the type of router. Now, you will see a field named as "SSID" or "network name". This is the network's name field. Fill this with your desired name. You will see "password" or "passphrase" - this is the password field of the WiFi router. Please use a strong password for your WiFi. After filling these two fields, click on "apply" then "save". In this way, you can change your WiFi network's name and password.